Norwegian incumbent Telenor has announced the launch of its LTE network in 11 towns and cities in the country. 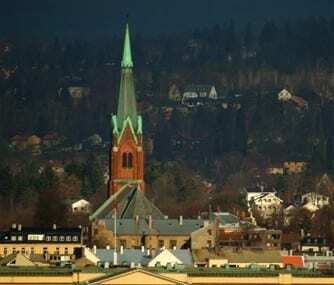 Telenor said it would continue to rollout across the country “at a rapid pace”, pledging to have one third of the Norwegian population covered by its LTE network by the end of the year. The firm aims to have 90 per cent population coverage by 2015, said CEO Berit Svendsen in a statement. Rival operator Netcom, owned by TeliaSonera, launched LTE at the end of 2009 and had amassed 5,710 LTE subscribers at the half year, according to Informa Telecoms & Media’s WCIS. “The current rapid development of digital services places increased requirements on the mobile network, and with 4G we are taking an important step towards increased capacity and faster speeds,” Svendsen said. At launch the service is available only to connected laptop and tablet users, the firm said, while LTE-enabled smartphones will be available “in good time for Christmas”. Telenor is the clear market leader in Norway, with 3.33 million subscribers at the end of June this year. At launch the firm’s LTE network will cover the towns of Oslo, Bergen, Trondheim, Stavanger, Lørenskog, Sandnes, Lillestrøm, Asker, Bærum, Lofthus in Hardanger and Longyearbyen. By the end of the year Fredrikstad, Sarpsborg, Skien, Porsgrunn, Drammen and Kristiansand will have been covered, the firm said.